I hope you're having a fab weekend. I'm so excited to be sharing with you a great product for day nine of the Beauty Brawl and we're talking hand cream! I have lost count how many hand creams I own, there's so many and they're dotted around across my house, bags and even my coats! If you ever need one, I'll have one with me for sure. 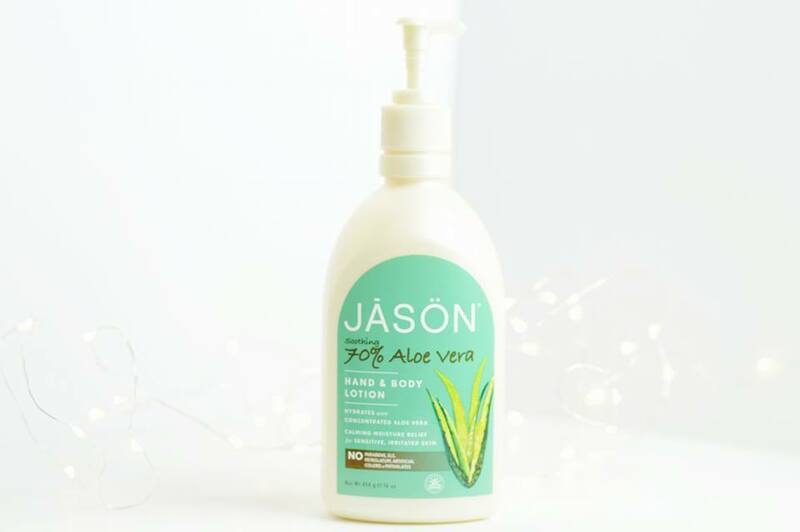 Naturally Better You kindly sent me the Jason Organic Aloe Vera hand and body lotion which contains 70% Aloe Vera, absolutely incredible! I never used to be a fan of the scent of Aloe Vera but since I've been using this on my hands over 5 times a day, I've come to realise Aloe Vera is actually one of them scents which you're either going to love or hate and I've come around to loving it. As someone who suffers with eczema and sensitive skin, especially on my hands and wrists I'm always worried about trying new products (even soap) which may irritate my skin and make my current problem a lot worse so trying this I was very wary about but I am so glad I had the guts to give it a go regardless of what the reaction may have been from it. I now use this multiple times a day, every single time I've washed my hands I pop a bit of this on just so the soap doesn't dry my hands out too much! 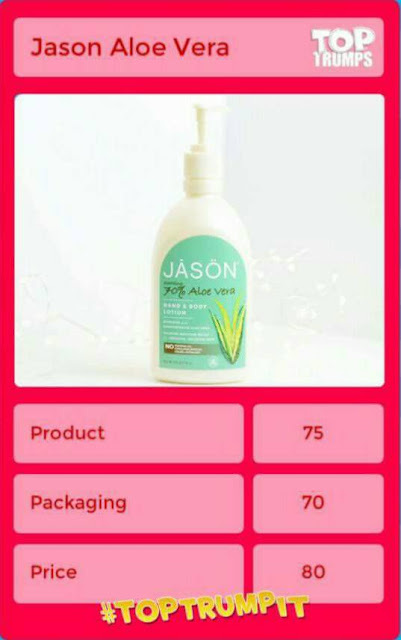 The product itself I rated as 75 because although the scent isn't the most wonderful scent in the world, the Aloe Vera in it leaves your hands feeling incredibly silky soft and as it's Organic, you don't have to worry about the horrible ingredients which you can sometimes find in products like these. It's a product which I'd definitely re-purchase, as it's a huge pump pot tub, you don't have to worry about running out quickly! I absolutely love how this is designed and the overall colour scheme of the product to suit Aloe Vera, however for a large pump pot, it's not something you're able to carry around in your bag whenever you're going out; you would have to put some into a smaller pot if this is something you'd like to do. Last but not least, I think the price is so affordable for the amount of hand cream you get; this only cost £7.30 and it's at least four times the size, if not a heck load more than a standard tube of hand cream you would usually buy from somewhere like a supermarket. It's definitely worth getting your hands on if you go through a lot of hand cream like myself!